In Sri Lanka “Uncle” is a respectful term for gentlemen of a certain age so don’t be surprised if you hear the staff also referring to Nihal as “Ratu Mame” which translates as “Red Uncle”. 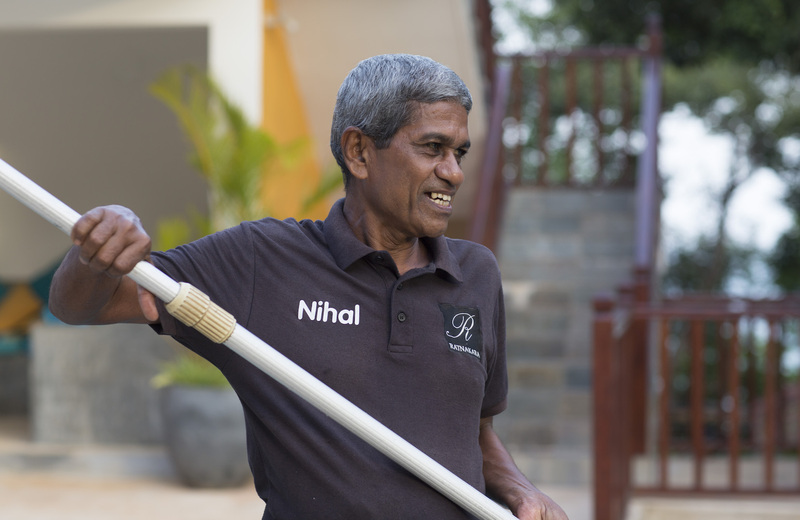 Groundsman by day and occasional watchman by night, Nihal is the guardian of all the outside space at Ratnakara. From placing the floating flowers in the bowls on the tables each morning to locking up at night, he is a constant presence. Even when he is on a day off you will often bump in to Nihal walking in the village or fishing as he lives just down the road and keeps a boat on the beach.